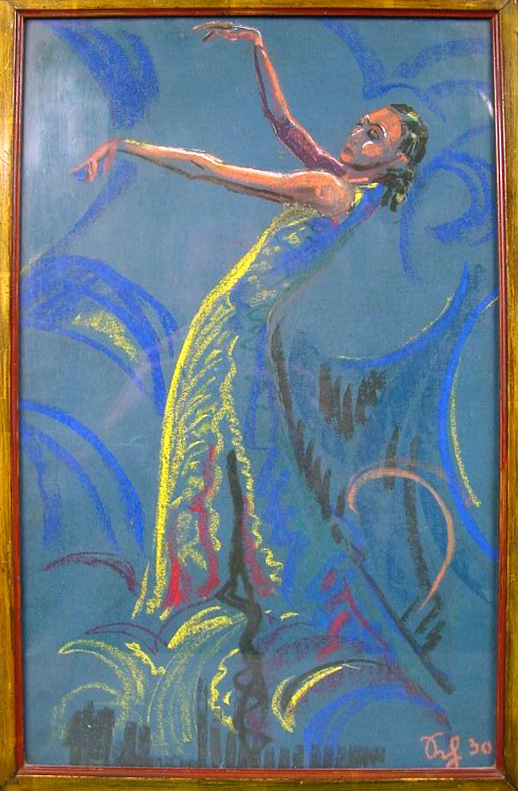 HERMANN SCHWEIZER (1910- 1998), „The dancer Chinita Ullman“, 1930 48cm X 30,5, Pastelle (crayon) on blue paper. Monogrammed and dated lower right corner: „Sch 30“. Verso signed and titled. 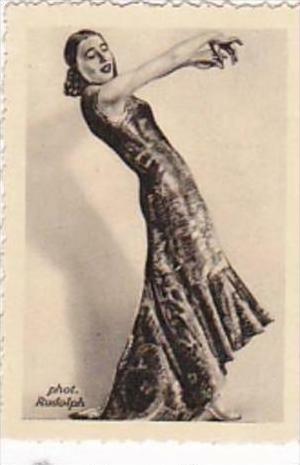 The portrayed Chinita Ullman (Born Frieda Ullman, 1904- 1977) was a famous Brazilian/German dancer. She was a student of Mary Wigman in Dresden and opened her own dance school in 1929. She left Germany in 1932 and toured Brazil with Kitty Bodenheim. Together with the painter Lasar Segall, she was founding member of the Brazilian avantgarde art group SPAM (1932). Hermann Schweizer was born in 1910 in Herdecke/Ruhr. He began to study art history and Geman philology at the university and school of arts and crafts cologne. 1928 he met the late Christian Rohlfs. Schweizer continued to study at the art academy Königsberg (today Kaliningrad, Russia), Berlin and later at the university Königsberg. He was student of Fritz Burmann and Willy Jaeckel. In 1937 he became an art teacher in Ahlen, Germany. He exhibited 1938 at the Gustav Luebcke Museum Hamm. In WWII he served as soldier in several war areas and in Greece. In 1943, another personal exhibition followed at the Kunstverein Kassel. After the war, Schweizer was cofounder of the „Kulturgesellschaft“ of the city Ahlen. He travelled to Lago di Garda, Ischia, Bornholm and the Lofoten. Until 1980 he taught as art teacher in Ahlen. Schweizer died in 1998. Werke aus dem Nachlass, Boenen, 2001.